The rover will seek signs of ancient habitable conditions as well as will collect rock and soil samples and store them in a cache on the planet’s surface. 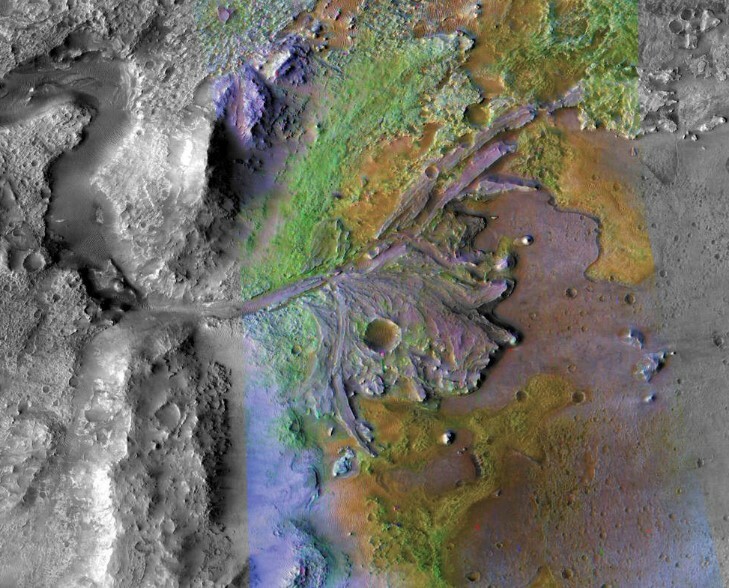 NASA and ESA (European Space Agency) are studying future mission concepts to retrieve the samples and return them to Earth, so this landing site sets the stage for the next decade of Mars exploration. Jezero Crater is located on the western edge of Isidis Planitia north of the Martian equator. Mission scientists believe the 28-mile-wide (45-kilometer) crater could have collected and preserved ancient organic molecules and other potential signs of microbial life. Landing site selection is dependent upon extensive analyses and verification testing of the TRN capability.